The motivation to make this Chicken and Rice dish came about when I wanted to make my traditional Chicken and Rice dish that I have always made for years. As always, when you have your heart set on making something, and you go in the kitchen, and look in the cabinet to grab the soup and the onion soup mix, and there is none to be found, your words are---Oh My This Can't Be! I am a huge fan of chicken and rice, and have been every since my Mother made this dish for my birthdays when I was in college. So my expectations are high as to a substitute of any kind. I had the chicken and the rice, so what next? Just imper-vise is what I say---take it to a new level. So I created a new healthy rich dish that consist of chicken, rice, chicken broth, vegetable broth, and the secret ingredient Knorr's Classic Vegetable Soup Mix, and came up with Heavenly Chicken and Rice. I have always used the Knorr's Vegetable Soup Mix to make my Spinach Dip and I had it on hand for that, but if you have never used it in other dishes, you are missing an explosion of flavor. 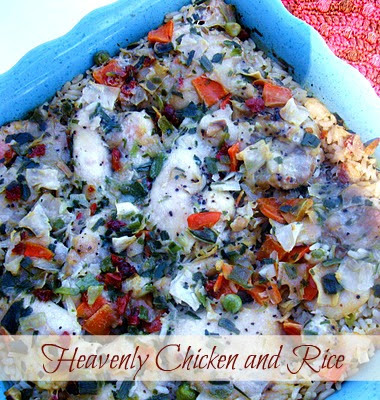 This recipe exceeded all of my expectations of an excellent Chicken and Rice dish and I will be making it again! Preheat oven 350 degrees F. Spread rice in the bottom of 9 x 13 baking dish that has been lightly greased. Arrange chicken evenly only top of the rice; sprinkle with salt. Pour chicken broth over each piece of chicken. Sprinkle vegetable soup mix evenly over the the chicken. Pour chicken broth over each piece of chicken. Using and fork, separate the chicken to let the broths run evenly around the chicken. Cover and seal tightly with foil and bake for 1 1/2 hours. Note; You can use 1 cup of rice if you like less rice. 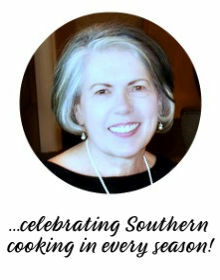 a Daily Cup of Mrs. Olson, Be Inspired, and all these fabulous parties! Hi! 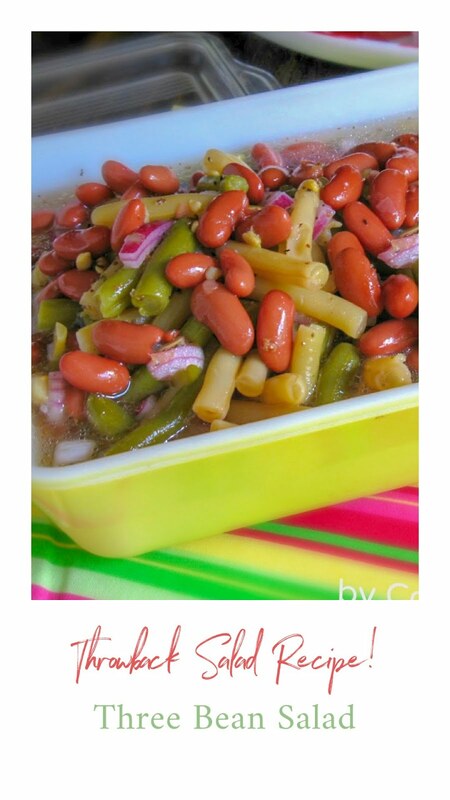 This recipe looks so good, and easy to make!! We love casseroles and this will definitely go on our menu! The carrots in the picture looks perfect with this dish - is there a recipe for them?? Would love to have it to fix with this dish. Thanks. Mimi G ~ I am glad you asked about the carrots...there will be a post coming soon on them. 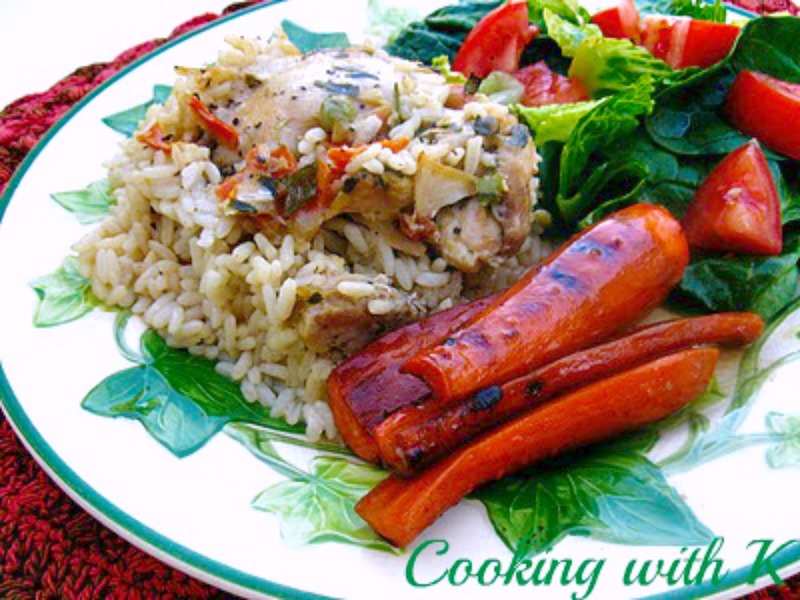 This is the easiest healthiest and yummiest recipe for chicken and rice. You are going to enjoy it! Love the healthy recipe! Thanks for linking to Things I've Done Thursday. There is always something very comforting about Chicken and Rice. Your recipe looks delicious! Thank you so much for sharing with Full Plate Thursday. Hope you have a great week end and come back soon! I love the way this recipe sounds, I will be trying this one out on my family! Thanks for sharing! 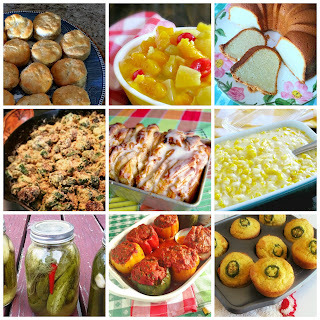 I just pinned this recipe after following you on Not Just a Housewife...thanks for sharing! I can't see past those carrots! They look delicious! This looks delish! I have to see if Knor is Gluten Free since I'm gf, but this is def on my to do list! Just stopping by via the linky at EisyMorgan! Looks wonderful, pretty colors too. A healthy chicken and rice, hmm, what a concept!!! I love chicken and rice. Thanks for sharing on Hunk of Meat Monday. Looks yummy, I'm going to try it sometime! Sounds like a great variation on the recipe. I'm pinning it! This sounds really great. We cook some version of chicken and rice quite often...partly because you don't have to thaw out the chicken first. Thanks for sharing it. This looks so good, and comforting! I love Knorr mix! Thanks for sharing at Church Supper. Have a blessed week. Another great recipe I can't wait to try, thanks! This was a great addition to the Hearth and Soul hop, easy and delicious. Yum! I made this a few weeks ago and I've been meaning to leave you a comment about how good it is. This recipe is so easy and so delicious. I love that it's healthy but it tastes like comfort food at it's finest. I'll definitely be making this dish all winter long! Thanks!